What Legal Issues Surrounding Social Media Should an HR Professional Know? Many human resource (HR) manager s have been using social media outlets for professional use for some years now, and LinkedIn has been a leading social media asset for them. However, these effective digital media tools have not garnered official attention until recent years. Regulatory agencies are now calling for special social media policies for businesses operating across a number of industries that comply with established consumer protection and labor laws. This new legal development is just a reminder of the fine line that HR professionals have to walk when using social media for work purposes. Here are some of the common benefits and challenges that HR managers will address in upcoming years. Employers know that providing a quality product or service is only half of the equation for business success. What about the employees who design, develop, test and deliver those exceptional products and services? This is the question that inspires employers to consider their human assets when implementing brand management initiatives. They know that their companies’ long term viability depends on how they can attract, train and retain talented workers. Social Media platforms are ideal mechanisms for engaging current and future employees because they give the world glimpses of authentic opinions about companies, their corporate cultures and internal policies. HR professionals have the responsibility to manage their companies’ brands by monitoring and responding to social posts in ways that reflect unique business strategies. Many employees already used social media communication channels to voice their opinions about their employers’ actions and policies on their personal time and social media accounts. These employees often reach out to their online friends for help when they need information to address issues pertaining to their careers and employers, and their conversations have been consistently protected by law according to recent litigation actions involving the National Labor Relations Board. Subsequently, HR managers’ social media post responses and other actions regarding employee use of social media must also abide by government and industry regulations. Employee training is vital to the prosperity of companies and the professional development of employees. 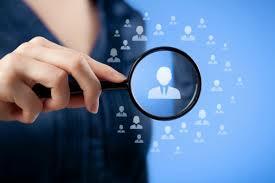 Specialized human resource managers are usually responsible for employee training development and delivery. In the past, they would set up training sessions and travel to each office to perform them. Eventually, these training managers put their educational modules in a central location online so that geographically dispersed employees could participate in training remotely. Social media gives training managers a chance to slip in training items in an informal setting that engages all employees anytime they access company social media tools. Employees are also able to collaborate with their peers to get the most out of the training topics. Updated Performance Evaluation: Is It A Popularity Contest After All? Managers are responsible for assessing employees’ performance; these performance reviews importantly impact employee bonuses, raises and promotions. Social media tools give managers ways to receive genuine and often measurable peer feedback about workers’ contributions to the teams on which they participate. For example, a business analyst who improves a company process without causing major disruptions in operations will often be commended by colleagues who like the new process and vocalize those opinions using social media. A savvy manager will prevent their performance review from being a total popularity contest by measuring the claimed efficiency improvements of the new process created by the business analyst; they can also assess the level of ease by which other departments adopt the new process as an indicator of its usability. Most human resource professionals would agree that social media represents the biggest paradigm shift in business communication since the prolific spread of computers in the workplace. However, the dynamic tool is a double edged sword that must be handled carefully as the increasing cases of litigation pertaining to social media clearly demonstrate.